Thanks to Brigitte for sending us photos of the LUDUS modular sofa from the German furniture manufacturer Mobilia Collection. LUDUS consists of only three cushion parts: a seat cushion, a back cushion and a corner back cushion (optional) – and a lacquered MDF back part (library). LUDUS affords one a lot of opportunities to sit, lie, play, work or recline. It is up to you. If necessary you can transform it back into a classical club class suite for more serious purposes or, with the arrangement of seat cushions, you can make it into a bed, if your friends really don’t want to leave. 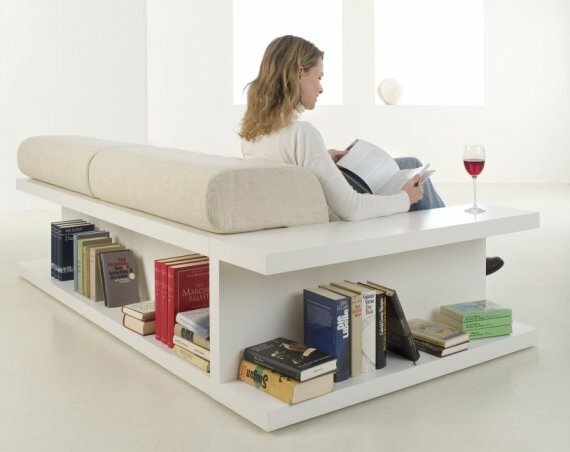 The back part incorporates a library shelf, which can serve as a practical storage space for books or all other items you need. It all makes for a delightful cosy corner in your home. Visit the website of Mobilia Collection – here.